Competing in a marathon in Antarctica in 2007 piqued Dr Tanya O’Neill’s interest in what lies beneath the snow-covered continent. Eight years on, Dr O’Neill has been awarded a $5000 grant to enable the Waikato University teaching fellow to study the effect of global warming on microscopic life in Antarctic soil. 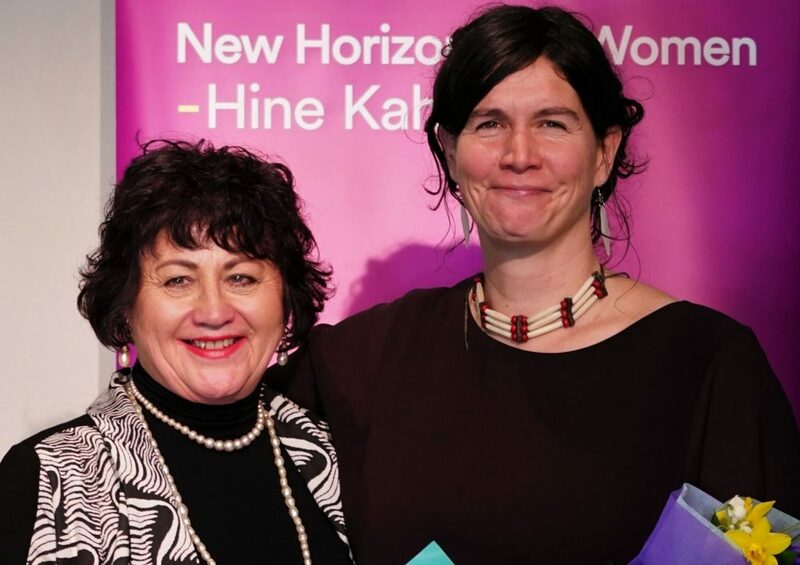 Dr O’Neill was one of six Waikato women honoured last Friday in the New Horizons for Women Trust Awards. 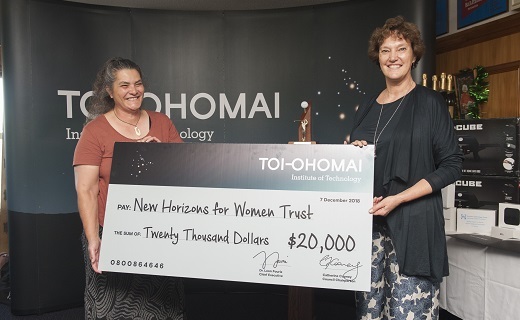 Trustee Ngaire Phillips said the awards were aimed at enabling women to re-enter education in the form of second chance grants, as well as funding research that would benefit women. Dr O’Neill received the Margaret Bailey Science Award. “I always had an interest in the Antarctic, even when I was at high school,” she said. Dr O’Neill’s uncle invited her to compete in a marathon on King George Island on the Antarctic Peninsula in 2007. She agreed, despite having no running experience. She said during the boat ride over from South America, the track looked perfect but snow the night before the race meant the competitors were running in -15C. “I was left with memories of running on the ice and up glaciers and seeing a humpback whale.” She said during the run she witnessed how the competitors were disturbing the ground surface during the short eight-week window of soil thaw and she became interested in whether the ground had time to recover. She has revisited Antarctica three times since the marathon and said there was relatively limited information on the possible consequences of global warming on microbial life in colder environments. The research will focus on Cape Adare in the Ross Sea region, home to the largest Adelie penguin rookery in Antarctica. “It is my hope that we will unravel some of the timely questions relating to how these important ecosystems will respond to a warming climate,” she said. Fellow awardee Laurene Bryce received the Rita King Second Chance Award, and is currently studying nursing through Waiariki Institute of Technology. She said as a single mother with three children, her weekly budget was constantly strained. “This award will allow me to study without that persistent echo of bill payment due! I will be able to pay for my kids’ additional school activities and it will be nice to answer my kids with a ‘yes’ instead of a ‘sorry, I can’t”,” she said. Also among the awardees was Catherine Irvine, who received the FW scholarship – donated anonymously and open to women over 40 – to help the mother of five complete a bachelor of social work. 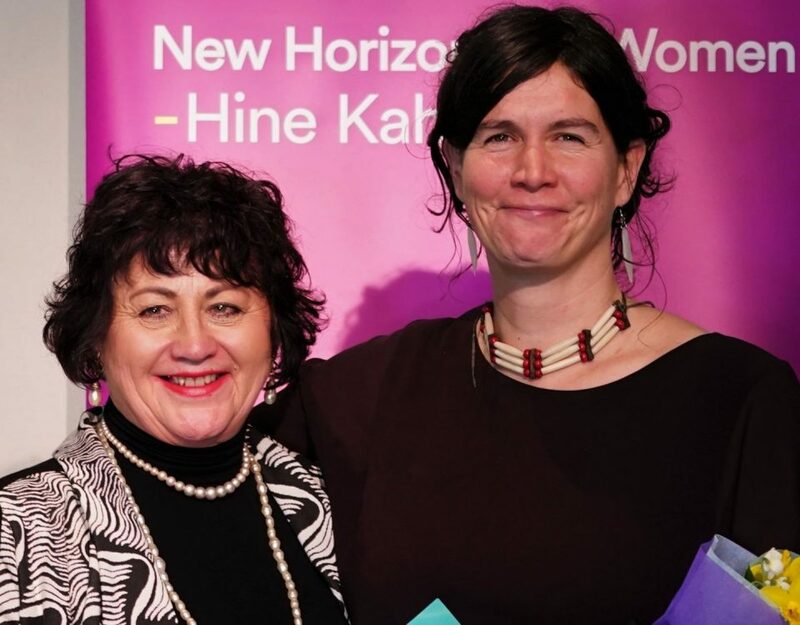 The NZ Federation of Graduate Women Mildred Keir Second Chance Award was awarded to Sharon Fletcher, who will soon have a double major in finance and economics, and the Alexandra Kilpatrick Second Chance Education Award went to Simone Cooper, who is studying a bachelor of teaching specialising in early childhood education.